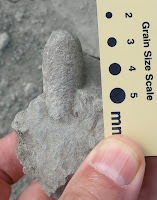 A chunk of limestone studded with fossils of wasp cocoons. Photo by Anthony Martin. It’s National Fossil Day on Wednesday, October 13, and we can’t resist getting in at least one good dig: Why are so many paleontologists focused on the body fossils of dinosaurs? After all, anyone can stumble across a dinosaur bone. But it takes a special eye to hone in on prehistoric wasp cocoons. 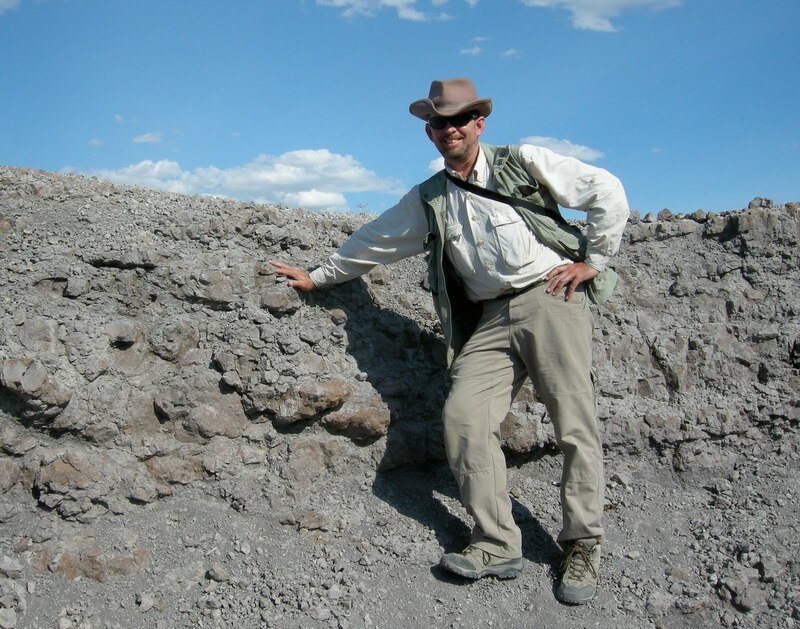 Emory paleontologist Anthony Martin has just published the first study linking wasps and dinosaur nests, in the journal Historical Biology. It finds that wasps were nesting with dinosaurs 75 million years ago in the Two Medicine Formation of northwestern Montana. “Insects reproduce quickly, and they’re extremely sensitive to their environments, so they can tell us a lot about prehistoric conditions,” says Martin, a leading expert in trace fossils. 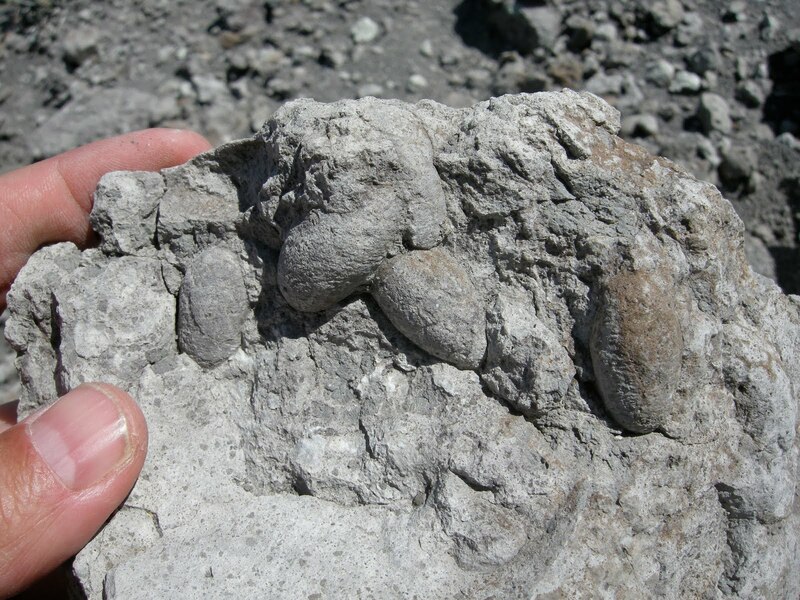 Co-author David Varricchio, a dinosaur expert from Montana State University, had been studying dinosaur nests in a limestone outcrop at the site, and called in Martin to help analyze fossils that resembled insect pupae. They correlated the size, shape and weave-like impressions on the surface of the fossils with those of modern-day wasp cocoons. 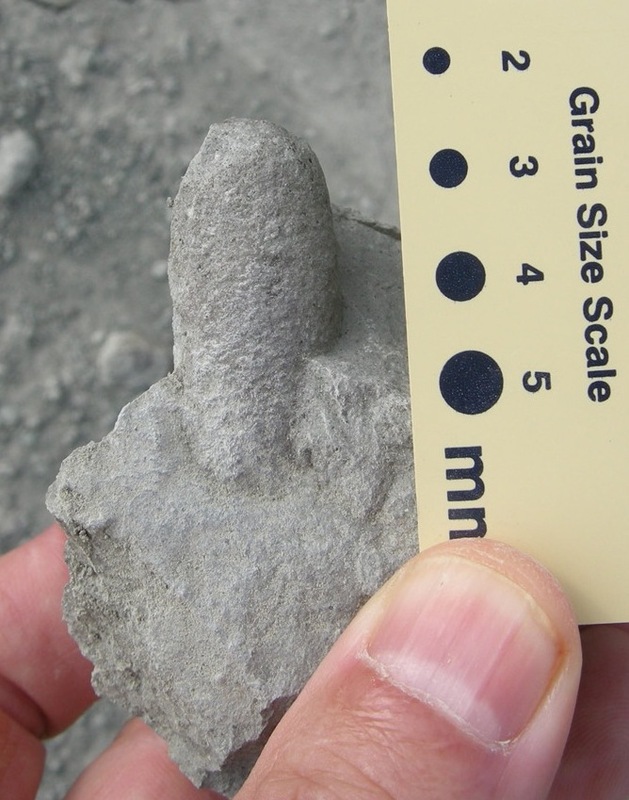 They also found the same prehistoric and modern-day correlations in the traces of prehistoric insect burrows and brooding chambers within the assemblage of dinosaur nests. The Two Medicine Formation consists mostly of sandstone and limestone, deposited by rivers and deltas during the Late Cretaceous. The area is known for its dinosaur eggs and the earthen, ring-shaped remnants of the ground nests that held them. Martin stands by a section of the outcrop containing the nests of dinosaurs and prehistoric wasps. Photo by Ashley Proust. The fossil cocoons litter the ground around the dinosaur-nesting site. “You can actually use the cocoons as prospector tools if you are looking for dinosaur nests,” Martin says. Now that you know what to look for, click here for a bonus video on how to sustainably store your fossilized wasp cocoons, should you come across any. 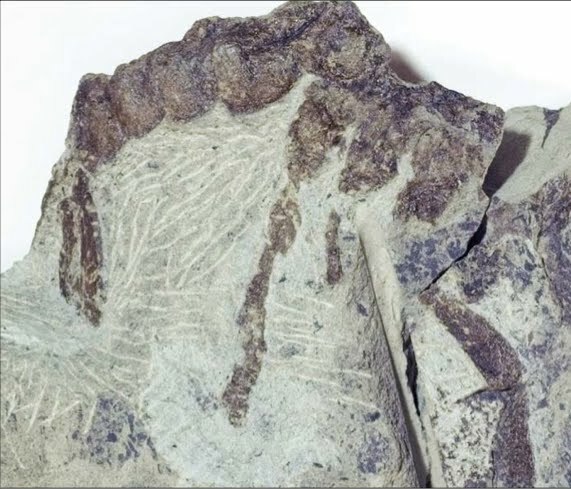 Trace fossils include cocoons, tracks, trails, burrows, nests and dung. It’s not the glamorous branch of paleontology, and yet trace fossils often tell stories that body fossils cannot. For instance, Martin recently determined the swimming pattern of a prehistoric fish in a lake that disappeared millions of years ago. Here’s a trace fossil quiz: What prehistoric animal left the impression in the rock in the photo at left? Look closely at the dark outline and see if you can make out a familiar creature. If you’re stumped, click here for the answer. In classrooms, are pencils missing the point?